Swing tag and custom icons for Weave & Willow. 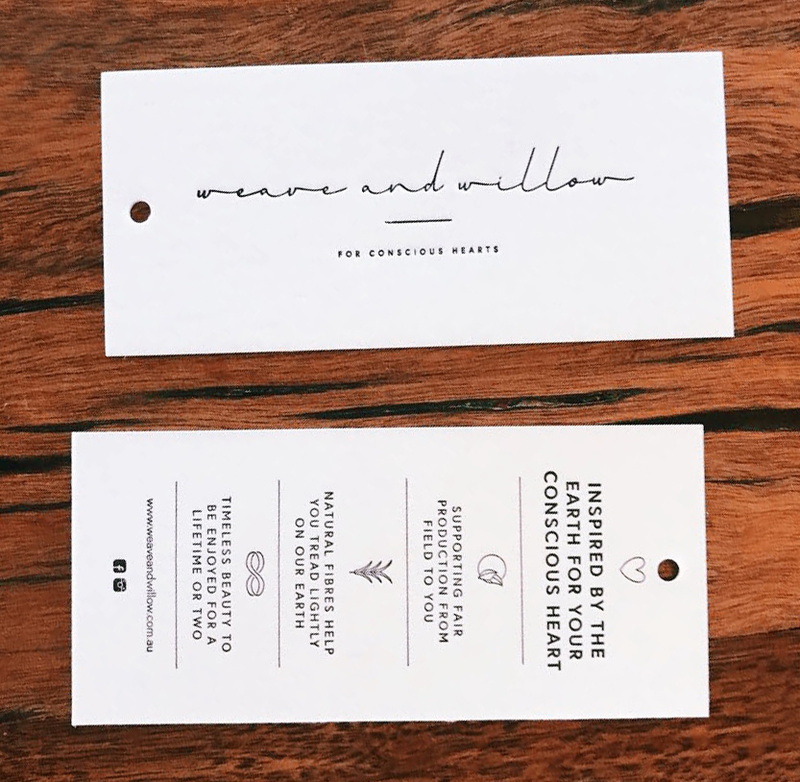 This swing tag and custom icons were created for their awesome range of eco-conscious and sustainable products with the intent of showcasing their core values as a brand. The icons were created to showcase their values which include: Ethical, Natural, Longevity and Conscious Hearts - which is essentially their ethos. They offer sustainable products that are designed so consumers have confidence that they are treading lightly on the earth.